Draft: 2011, Chicago White Sox, 7th rd. league with a .396 average in 2011...Played three seasons of football at Pitt...Former football teammate with LeSean McCoy...Recorded 202 yards in second start at quarterback, breaking Dan Marino's freshman record...Prepped at Seneca Valley High School (Harmony, PA). After beginning year with Triple-A Charlotte, was recalled by the White Sox and made season debut June 5th (Game 2 of doubleheader)... Remained with Major League Club for duration of season... Season average of .292 (50/171) ranked second in Majors by a catcher (min. 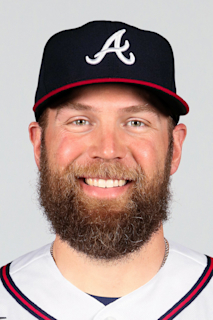 150 AB), trailing only Wilson Ramos (.306).. Hit .438 (21/48) with two home runs and 13 RBI vs. left-handed pitchers, .341 (31/91) at home and .295 (13/44)with runners in scoring position...In 30 games with Triple-A, hit .268 (30/112) with four doubles, four home runs and 16 RBI. Spent most of the season with the White Sox, starting 70 games at catcher … his .283 average was the highest in franchise history by a rookie catcher ... Sox pitchers owned a 4.84 ERA (335 ER/622.2 IP) when he was behind the plate … threw out 11.1 percent (7-63) of attempted basestealers ... Batted .309/.339/.412 vs. righties, compared to .243/.263/.351 vs. lefties … all four of his home runs came at home ... Hit .300 or better in three months: .328 in June, .310 in August and .310 in September ... His contract was purchased from Class AAA Charlotte on 4/13 … made his debut as the starting catcher on 4/14 at Minnesota ... Recorded his first hit of the season and drove in his first career run with a RBI double on 4/17 at Yankee Stadium ... Was optioned back to Charlotte on 4/21 and recalled on 5/10 ... Registered his first career multi-hit effort on 5/21 at Seattle ... Connected on his first career homer on 6/12 vs. Baltimore off Wade Miley … also recorded a career-high three RBI … collected a career-high three hits on 6/15 vs. the Oroiles ... Started consecutive games as the DH from 6/29-30 … matched his career high with three hits on 6/30 vs. Texas ... Hit his second career homer (pinch hitter) on 8/1 vs. Toronto batted cleanup for the first time on 8/2 vs. the Blue Jays (2-3) ... Connected on a two-run homer and drove in a career-high four on 8/8 vs. Houston … registered three hits on 8/19 at Texas ... Recorded a career-long, 10-game hitting streak from 8/29- 9/15, batting .324 (12-37) with three doubles and two walks ... Threw out four attempted baserunners over his final 13 games at catcher (three in first 57 contests) ... Appeared in 14 games with the Knights (two stints) ... Recorded four hits and drove in four on 4/6 vs. Norfolk. Spent most of the season with Class AAA Charlotte before finishing with the White Sox...Appeared in seven games (four starts) with the Sox … threw out 1-2 attempted basestealers … White Sox pitchers owned a 4.82 ERA (15 ER/28.0 IP) when he was behind the plate...Was recalled from Class AAA Charlotte on 4/24, replacing Alex Avila on the 25-man roster...Was scratched from his scheduled major-league debut on 4/25 at Toronto and placed on the 15-day disabled list on 4/26 (retro to 4/24) with sacroiliac joint dysfunction … was reinstated from the disabled list and optioned to Charlotte on 5/22... Was recalled by the Sox on 9/1 and made his major-league debut that night at Minnesota … entered the game as a defensive replacement at catcher and went 0-1...Made his first start on 9/3 at the Twins, going 0-4 as the designated hitter … started at catcher on 9/4 at Target Field, going 0-3 with a run scored...Recorded his first major-league hit on 9/17 at Kansas City, a single off Dillon Gee...Spent most of the season as Charlotte's starting catcher … threw out 39.5 percent (15-38) of attempted basestealers ...Hit .265/.357/.469 vs. lefties, compared to .201/.265/.373 vs. right-handers … batted .205 (33-161) as the catcher...Went 3-4 with his first homer and two RBI on 4/13 at Norfolk...Did not play from 5/25-7/9 due to hip and knee injuries … appeared in two games with the Arizona League White Sox from 7/10-11 before rejoining Charlotte...Hit safely in four of his last six games from 8/25-31 before joining the White Sox in September. Spent his fifth season in the White Sox organization at Class AAA Charlotte. ... Threw out 19.0 percent (19-82) of attempted basestealers. ... Hit .296 (34-115) with four home runs and 19 RBI vs. lefthanded pitchers (.240/2 HR/17 RBI against righties) … posted a .299 (47-157) average on the road, compared to a .222 (36-162) mark at home. ... Batted .316 (18-57) with eight RBI and seven multihit performances over 17 games in August. ... Was on the disabled list from 5/17-29 with back spasms. ... Homered in back-to-back games from 6/8-9. ... Went 4-4 with four RBI on 7/11 at Norfolk. Spent the entire season with Class A Winston-Salem, appearing in 92 games at catcher and nine as the designated hitter…threw out 24.8 percent (33-133) of attempted basestealers…ranked among the White Sox organizational leaders in RBI (T7th, 73), runs scored (9th, 66), slugging percentage (9th, .464), hits (10th, 110), total bases (10th, 178) and extra-base hits (10th, 41)…batted .281 (98-349) as the catcher and .343 (12-35) as the DH…hit .317 (26-82) vs. left-handers, .314 (61-194) at home and .313 (62-198) in the second half…recorded a season-high .345 average in June and August…owned a .325 mark (40-123) with four home runs and 58 RBI with RISP and hit .365 (19-52) with RISP/two outs…collected four hits on 4/14 vs. Carolina, 6/27 vs. Salem and 8/1 at Wilmington … collected four RBI on 5/25 at Carolina and 6/27 vs. Salem…hit safely in 11 of his final 12 games (seven multihit), batting .435 (20-46) with two homers, 10 RBI and seven runs scored. with 30 doubles, 10 home runs, 83 RBI and 56 runs scored…was named to the South Atlantic League midseason All-Star Team…hit .301 (72-239) with six home runs and 45 RBI in 76 games as the catcher, compared to .238 (24-101) with one homer and 15 RBI in 31 games as the designated hitter…combined to throw out 33.3 percent (35-105) of attempted basestealers…batted .323 (43-133) with RISP…began the season with Kannapolis and led the team in doubles (26)…hit .339 (20-59) in June…was promoted to Winston-Salem on 7/25 and finished the season with the Dash…collected five RBI in his Dash debut on 7/26 vs. Carolina. Split time between Advanced Rookie Bristol and Advanced Rookie Great Falls, hitting .355 (72-203) with nine homers and 48 RBI in 56 games…ranked 17th on the Pioneer League and 20th on the Appalachian League Top 20 Prospects Lists by Baseball America…combined to throw out 34.3 percent (23-67) of attempted basestealers…led Bristol with a .396 (38-96) average and .740 slugging percentage before being promoted…was named APPY Player of the Month for July…was named PL Batter of the Week for 7/18-24...posted a 15- game hitting streak with Great Falls from 8/18-9/2 (.528, 28-53)…was recommended/signed by Phil Gulley. October 26, 2018 Los Angeles Angels claimed C Kevan Smith off waivers from Chicago White Sox. August 6, 2018 Chicago White Sox activated C Kevan Smith from the paternity list. August 3, 2018 Chicago White Sox placed C Kevan Smith on the paternity list. June 5, 2018 Chicago White Sox recalled C Kevan Smith from Charlotte Knights. April 21, 2018 Chicago White Sox optioned C Kevan Smith to Charlotte Knights. April 16, 2018 Chicago White Sox sent C Kevan Smith on a rehab assignment to Charlotte Knights. March 28, 2018 Kevan Smith roster status changed by Chicago White Sox. May 10, 2017 Chicago White Sox recalled C Kevan Smith from Charlotte Knights. April 22, 2017 Chicago White Sox optioned C Kevan Smith to Charlotte Knights. April 13, 2017 Chicago White Sox selected the contract of Kevan Smith from Charlotte Knights. February 14, 2017 Chicago White Sox invited non-roster C Kevan Smith to spring training. February 10, 2017 Chicago White Sox sent C Kevan Smith outright to Charlotte Knights. September 1, 2016 Chicago White Sox recalled C Kevan Smith from Charlotte Knights. July 14, 2016 Charlotte Knights activated C Kevan Smith from the 7-day disabled list. July 10, 2016 Charlotte Knights sent C Kevan Smith on a rehab assignment to AZL White Sox. May 26, 2016 Charlotte Knights placed C Kevan Smith on the 7-day disabled list. May 22, 2016 Chicago White Sox optioned C Kevan Smith to Charlotte Knights. April 24, 2016 Chicago White Sox recalled C Kevan Smith from Charlotte Knights. March 16, 2016 Chicago White Sox optioned C Kevan Smith to Charlotte Knights. October 5, 2015 Chicago White Sox recalled Kevan Smith from Charlotte Knights. May 29, 2015 Charlotte Knights activated C Kevan Smith from the 7-day disabled list. May 17, 2015 Charlotte Knights placed C Kevan Smith on the 7-day disabled list. March 18, 2015 Chicago White Sox optioned C Kevan Smith to Charlotte Knights. November 20, 2014 Chicago White Sox selected the contract of Kevan Smith from Birmingham Barons. March 28, 2014 C Kevan Smith assigned to Birmingham Barons from Winston-Salem Dash. January 21, 2014 Chicago White Sox invited non-roster C Kevan Smith to spring training. June 21, 2013 Winston-Salem Dash activated C Kevan Smith from the 7-day disabled list. June 11, 2013 Winston-Salem Dash placed C Kevan Smith on the 7-day disabled list. January 10, 2013 Chicago White Sox invited non-roster C Kevan Smith to spring training. July 25, 2012 C Kevan Smith assigned to Winston-Salem Dash from Kannapolis Intimidators. June 14, 2012 Kevan Smith roster status changed by Kannapolis Intimidators. June 6, 2012 Kannapolis Intimidators placed C Kevan Smith on the 7-day disabled list. April 2, 2012 C Kevan Smith assigned to Kannapolis Intimidators from Great Falls Voyagers. July 25, 2011 Kevan Smith assigned to Great Falls Voyagers from Bristol White Sox. June 21, 2011 Kevan Smith assigned to Bristol White Sox. June 20, 2011 Chicago White Sox signed C Kevan Smith.